When I met the two dedicated and excited bassoon students at the Rift Valley Academy, I was disappointed to found out that they had very limited access to great reeds--only getting a few store bought reeds a year shipped in from London. The process of making bassoon reeds takes years to master and requires a lot of one-on-one lessons with a great teacher. Since this can be a huge obstacle for any bassoonist, I wanted to do something to help relieve this so they could focus on growing as players. I (and many of my bassoon-playing friends) have several boxes of old handmade reeds that I never ended up using, and I thought sending them to RVA would be a great way for them to get used. So, few weeks ago, I posted to my Facebook page a request to all my bassoon friends and colleagues to send me their gently used reeds that they no longer needed. As bassoonists, we make our own reeds, allowing us to customize the way we sound and highlight the qualities in bassoon playing that are important to us. By collecting a reeds of a variety of styles and by many different makers, current and future RVA students will be able to do this customization in their playing. 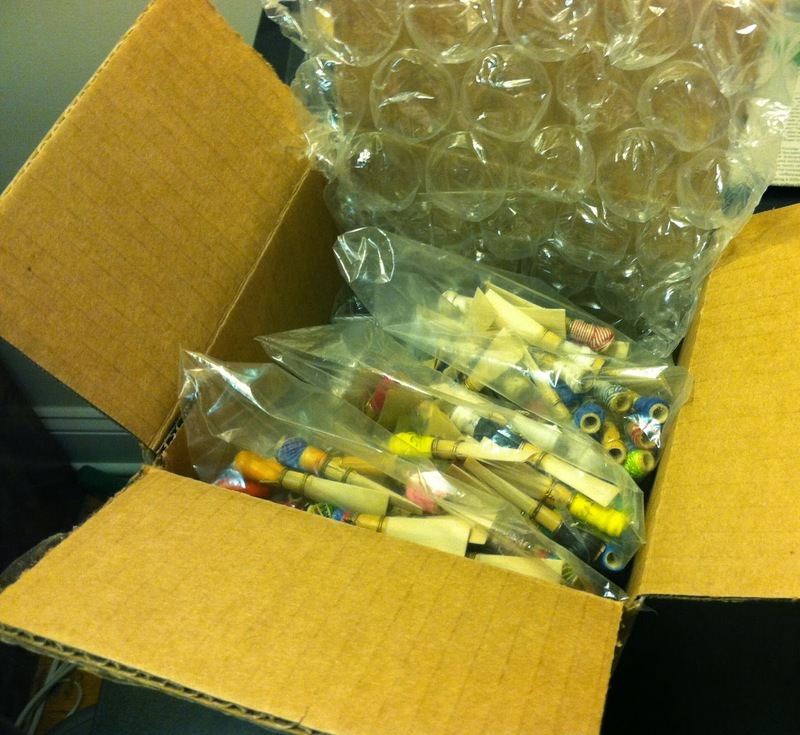 Thanks to 10 of my bassoon friends, we have collected around 200 reeds which are on their way to Kenya right now! I'm so thankful for the friends who have donated their reeds. It means so much to me, and Trade Winds, and I hope it will mean a lot to RVA as well. Thank you, bassoon friends!